There is huge gulf between the desire of leaders to create The Perfect Culture and the reality. As you may know around 85% of ALL culture change programmes fail, and fail expensively. Yet some leaders such failure is entirely avoidable: they have a 100% success record. All of their culture change programmes work, and work every time. Why do so many culture change attempts fail so completely so often, for so many, yet some leaders are 100% successful 100% of the time? Two words explain the difference: Culture Management. To be more specific, the best leaders have learned the principles of culture management; they know how to create The Perfect Culture. Of course, “The Perfect Culture” does not exist, nothing is perfect. Perfection is not required; all that it needed is is a full understanding of the principles of culture management, and knowledge of the techniques to apply culture management successfully. Sitting within that body of knowledge is the requirement to REALLY understand human nature. An absence of such full depth understanding is fatal to any culture change programme. When knowledge of human nature is coupled with a knowledge of performance psychology, the chances of success escalate dramatically. If you doubt how important it is to have and apply this knowledge, you can ask yourself: why do only 15% (ish) of culture change programmes work? If you are still not convinced, then resolve to ask the next 10 managers you meet to explain the driving force of human nature in one sentence. Note widely differing answers you receive. Then ask the follow up question: what are the two most important principles in the psychology of performance? Again, note the variety of responses. Then ask yourself: what are the chances of a culture change working here when there is so little knowledge about the building blocks of culture management? You will have noted that you haven’t even had to ask the managers you meet: how do you manage culture? You already know what kinds of response variation you would receive. If you wish to create The Perfect Culture, then mastering the skills above is essential. 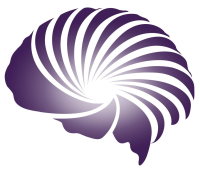 PsyPerform clients get full access to the tools we create to give our clients a competitive advantage. If you are thinking of accessing those tools, then this audio sample of The Perfect Culture may be of interest. 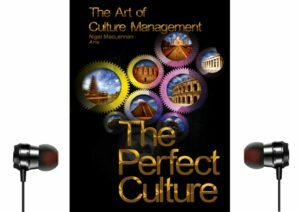 To access the full version of The Perfect Culture: The Art of Culture Management, contact PsyPerform here.